Things you never considered may make all the difference to your cat. Over the years, my clients have contacted me regarding challenges they face with their cats and the litter boxes they prefer. By far, the most frequent reason I’m consulted is when a cat has stopped using the litter box and chooses another spot in the house. I usually find that the reason comes down to either a physical or emotional challenge that the cat is experiencing. If the challenge is physical, like a urinary tract infection or bladder stones, then I suggest the clients visit their veterinarian for confirmation and treatment. If it is an emotional issue, like stress in the household or a change in routine, then I help them by providing suggestions on how to correct the issue. However, there have been times when it is simply that their cat doesn’t like a particular litter box and refuses to use it. 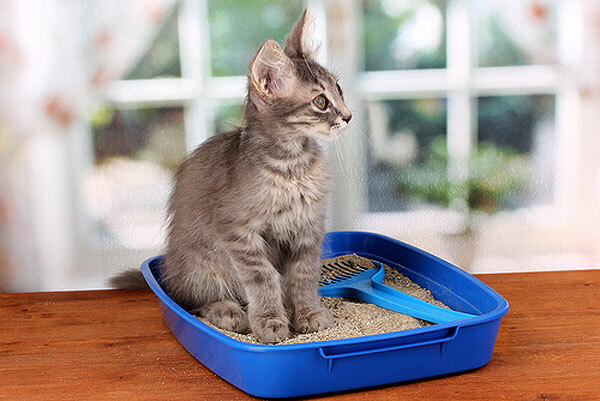 So the question becomes, does the type of litter box really matter? It’s a mind boggling array of choices. It left me confused and frustrated about which to recommend. If I’m this confused, imagine how a cat must feel when we change their litter box. Yet again, a cat seems to know exactly what he or she likes and will quickly let you know the preference. 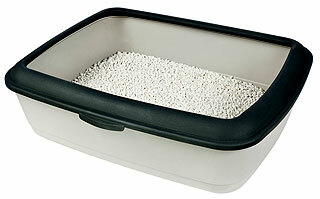 Some experts will tell you that size, the larger the better, is the most important matter when selecting a litter box. Others will say that it’s more about cleanliness and the smell of the litter in the box. Still others believe their cats care most about privacy when using the litter box — and some maintain that a lack of privacy (so that the cat can see predators coming) is crucial. In my opinion, all of these things matter. However, on more than one occasion I’ve had a client’s cat prefer a particular color of litter box. I remember a client who replaced a cat’s litter box with an identical style as the previous one that had worn out, but it was a different color. The old litter box was blue and the new litter box was green. She prepared the new litter box with the same type of litter and placed it in the same location. Her cat refused to use the new box. Because she disposed of the old litter box, I suggested she replace the green litter box with one of the same style and manufacturer but in blue this time. 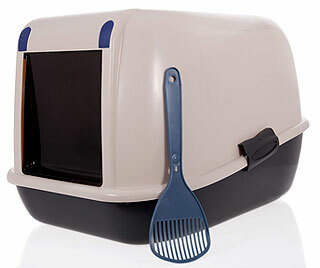 Within minutes of putting the new blue one down, her cat began using the new blue litter box … viola! 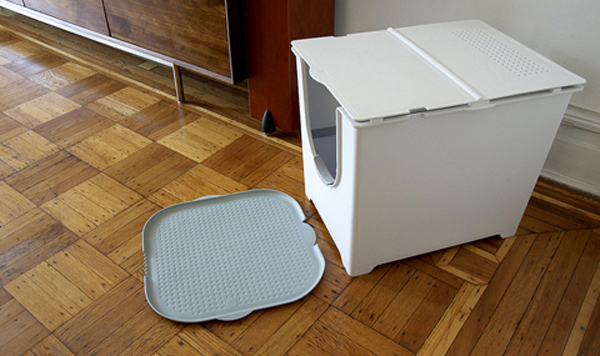 My suggestion is to experiment with various types of litter boxes and find the one that your cat likes best. It might not be the type or style you prefer, but it will save you a lot of stress and your cat will let you know whether he or she likes it, too, in very short order.